Six months ago today, The Pilot and I got into his very loaded vehicle and headed straight for 95 South to DC. This was it. This was so many things. 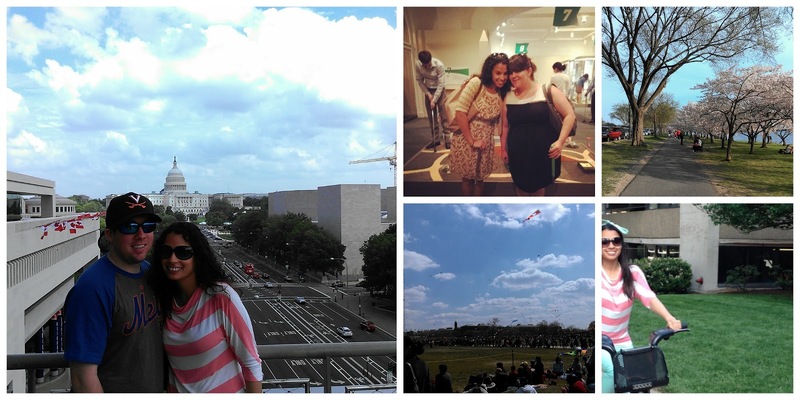 After almost 2 1/2 years of desperately wanting to move to DC, I was finally doing it. After more than 3 years of being in a long distance relationship, we were finally moving in together. Moving to DC was the best decision I have ever made in my life. "Why we <3 living here right now"
The last 6 months have been some of the best months of my life. I have fallen in love with this city in a way that I didn't think was possible after I left London. I had a good group of friends here before I moved, but I've made so many new friends and I feel like there's always something to do...whether it's grabbing froyo after work, going for a run, walking the monuments, or going mini-golfing inside a museum...there are an endless amount of things to do in this city and every time I catch a glimpse of the Washington Monument or the Capitol Building, my heart skips a beat. I thought that that might have worn off by now, but it hasn't and I'm not sure it ever will. One of my goals for 2013 is to explore as much of DC as possible. While I feel like I've just barely skimmed the surface, I also feel like I've done quite a bit and have no intention of slowing down. The moral of the story? 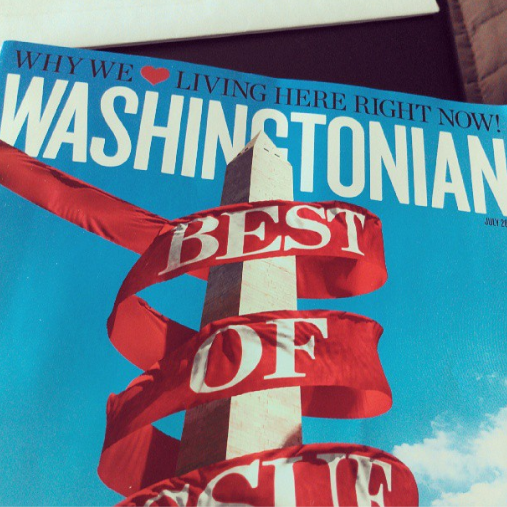 I wanted to move to DC. It took some time but I finally made it happen and I've never been happier. There are, of course, things I would change, but I consider myself lucky to be living in a place I love with some of the greatest friends I could ask for. I'm lucky to have an amazingly supportive boyfriend who came along with me...knowing that it would make his daily commute much less convenient...just to start the next chapter of our lives. So, here's to the next 6 months being even better than the last. Here's to even more and better adventures with old friends and new. Here's to me continuing to fall more in love with this city every single day. Here's to new opportunities and endless excitement. maybe for the first time, maybe all over again. I love DC, I haven't been in years....and really need to head back! Now, if we can just make a time share in London happy, we'll be the two happiest girls on earth! I love my state and I love visiting DC. I love vicariously enjoying it through your enthusiasm. There is lots to do there and the runs looking at all the monuments was top for me. Have you been up in the old post office building? Now that you can't go up in the Monument that must be one of the higher points. SO happy for you! I love the rural are we live at and I enjoy the outdoors. But sometimes I miss the convenience and the adventures from a larger city. So glad to here you're so happy with your decision =). 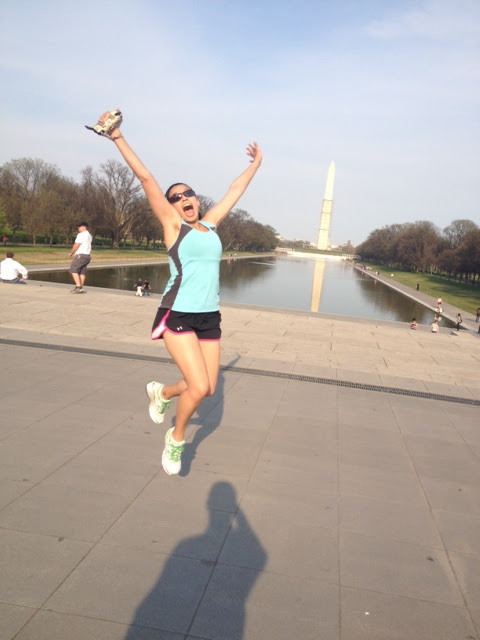 I can't say I've quite fallen in love with DC yet, but we are definitely learning to love it a little more each day! We just moved and hopefully our new neighborhood will let us really enjoy more of what the city has to offer.